The Sky Caps . 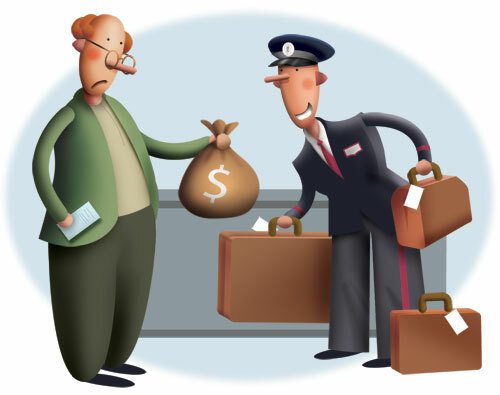 those who take your luggage at the airport actually make more than the pilots ..how strange .. do the math.. 150 passengers per plane and $5.00 tip per bag or family and it adds up plus they receive a salary plus a benefit package as well. Columnist shows no love for pilots, skycaps – Airline Biz Blog – The .-..